Sure, London’s the poster boy, but there’s much, much more to the UK -- from sandy coves in Cornwall and cutesy cottages in the Cotswolds, to the gritty charm of the northern cities and the rugged beauty of Scotland. So next time you’re plotting a trip across the pond, branch out from Big Ben. We’ve created five custom itineraries so you can explore the very best that this big beautiful island has to offer. Each one is designed for a 10-day trip, which we figure is the sweet spot if you’re hoping to maximize five vacation days with a weekend on either side -- time it around a public holiday, if you can, and you’ve got room to be flexible. (Here’s how to travel Europe in the same way). Aim to fly into the airport closest to your starting point (not necessarily London! ), but how you get around is up to you -- trains and buses cover almost everywhere, but we Brits appreciate the freedom of a good old fashioned road trip same as you. Start in the capital, of course. Roman Londinium was founded in 43 AD, and it’s come a long way since then. Get the full sweep of history at the British Museum, top up on tech at the Science Museum, or get your fashion fix at the V&A; they’re all absolutely, positively free. Catch a Shakespearean show at The Globe theatre, and if you’re still feeling literary, join a walking tour through the Dickensian streets of Clerkenwell. A cruise on the Thames is the best way to tick off all the popular tourist sights; hop off at London Bridge for a street-food lunch at Borough Market. Drive out of London on the unremarkable M3, and aim for Stonehenge, which was built by our prehistoric ancestors around 5,000 years ago. But get this -- it turns out a bunch of old rocks arranged in a circle don’t constitute a full day’s activity, so branch out somewhere more interesting for lunch. Winchester has got a posh private school and a castle supposedly housing King Arthur’s legendary round table. Down the road in Salisbury, you get the UK’s tallest church spire and, if you’re lucky, absolutely no exposure to a lethal Soviet nerve agent. Take a detour to Gold Hill in Shaftesbury, if you want to snap that photo. Choose Bath or Bristol, or try and squeeze them both into a whistlestop tour. Bath has got the hot-spring-fed Roman baths and gorgeous rows of buttery Georgian townhouses. Bristol is less pristine and more offbeat, with an adventurous, underrated food scene -- head to the pretty urban village of Clifton, hang out with the cool kids in the very hip Montpelier neighborhood, or ogle at industrial-age wonders SS Great Britain and the Clifton Suspension Bridge. 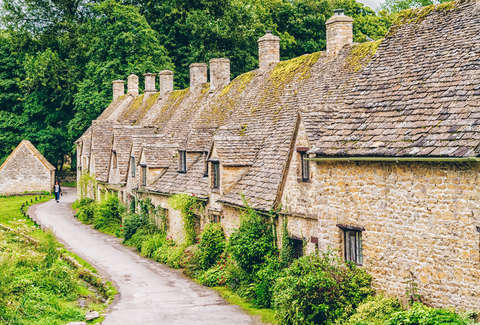 The Cotswolds are the definition of English country charm -- Bibury, Lower Slaughter, and Bourton-on-the-Water are three of the most popular villages, but you’ll get thatched roof cottages and that warm-all-over feeling all across the region. Keep your slippers on and sit by the fire all you like, but make a trip one day to the theater in Stratford-upon-Avon -- it’s Shakespeare’s home town, NBD. Oxford and Cambridge are the UK’s oldest and most prestigious universities -- and they happen to be excellent spots to visit too. In Oxford, go for a beer à la Tolkien and C.S. Lewis at the Eagle and Child pub, then march into the Great Hall at Christ Church like you’re a real-deal Dumbledore. The best way to see the bridges and colleges of Cambridge is by punting on the river. Coast back to London to fly out, stopping in the oh-so-lovely Roman city of St Albans on the way. Fly into Edinburgh -- it’s an easy one-hour transfer from London, or if you’re coming from New York, you can pick up a cheap fare with Norwegian. ‘Auld Reekie’ is a hotbed of culture and character, with the world-famous Fringe festival and New Year’s Hogmanay at the heart of a never-ending series of events and exhibitions. By all means stroll the Royal Mile from Edinburgh Castle down to Holyrood Palace, but be sure to get yourself lost in the labyrinth of narrow wynds too. And if you just can’t wait for a breath of fresh Scottish air, take a hike up to Arthur’s Seat for peerless views of the city. Cross the firth of Forth (you’ll see the iconic rail bridge from the road) and head for Stirling, site of Mel Gibson’s victory over the English in 1297 and the Battle of Bannockburn in 1314. Climb the 246 steps of the Wallace Monument and be the first person (that morning) to bellow “Freeeeeedom,” or catch up on bloody royal history at the hilltop Stirling Castle. Head to Anstruther for the nation’s finest fish ‘n’ chips (best enjoyed on a harbor-side bench), then go find some digs in St Andrews. You’ve got two options in the picturebook town of St. Andrews: Spend the day ambling on the film-famous beaches, mooching around the medieval ruins, and flirting with university students… or commit to a round on the Old Course, aka the Home of Golf. If it’s the latter, you’ll have to book ahead and/or know someone who knows someone (there are six other less prestigious and less in-demand courses, if you’re simply after the sensation of seeing your ball blown off-target into a gorse bush). 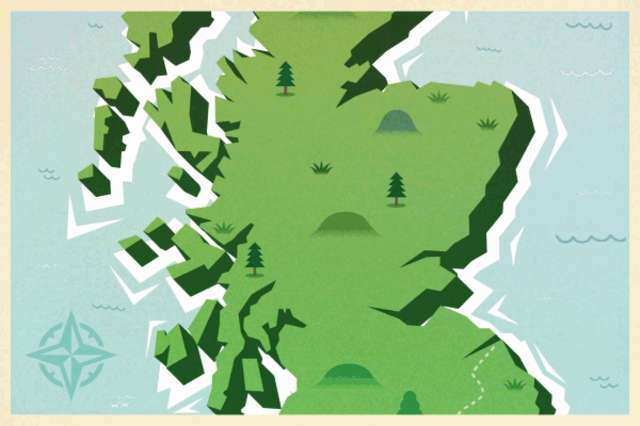 It takes three hours to drive to Fort William, but more if you allow yourself time to stop and snap the Highland vistas, take a hike in Cairngorms National Park, or knock back a wee dram of whiskey at the Dalwhinnie distillery. Get a good night’s sleep, then rise early and gobble a full Scottish breakfast (complete with the mashed-up sheep innards known as haggis) -- you’ll need plenty of fuel to climb Ben Nevis, the UK’s highest mountain, at 4,413 feet. You’ll recognise the Isle of Skye -- it’s the one plastered all over your Instagram feed, and rightly so. 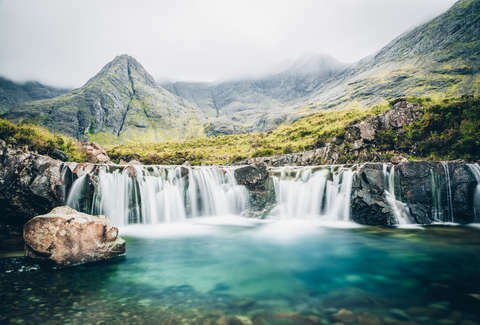 Ramble the rugged landscape like you’re on a mission to Winterfell, swim in the Glenbrittle fairy pools, and stop en route at the ethereal Eilean Donan castle on Loch Duich. Chances are you won’t want to leave, but there are plenty more isles in the sea -- Rùm, Eigg, and Muck are charming small islands worth a visit, if you can stomach the ferry ride. OK, here’s the Harry Potter fix you’ve all been waiting for: Head to Glenfinnan and watch a steam locomotive (let’s just pretend it’s the Hogwarts Express) chug over the viaduct. Continue south to Loch Lomond, and have your final fill of bonnie Scotland -- kayaking perhaps, or horse riding through the heather. Fly out of Glasgow -- quick, before it rains. Maybe it’s the melancholic weather, or the blue-collar heritage, or because there’s not much else to do but sit around jamming with your mates -- but one way or another, many of Britain’s best musical talents have come from Manchester (The Smiths, Joy Division, Oasis) and Liverpool (ahem, The Beatles). So go for a night out, dammit -- the Northern Quarter is the trendy bohemian bit of Manchester, while converted waterfront warehouses give Liverpool’s Albert Dock an air of Brooklyn. 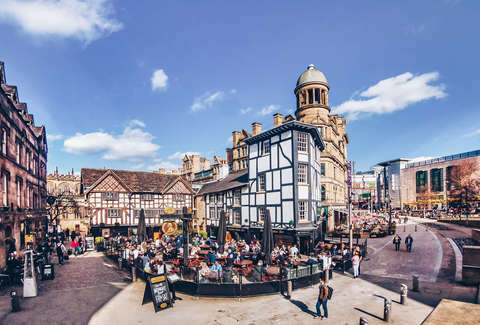 If you’re in town on a weekend, join the fanatical locals for a football (soccer) match at Old Trafford (Man United) or Anfield (Liverpool FC). It’s hard not to be inspired by the sweeping valleys and sparkling waters of Lake District -- just ask poet William Wordsworth or children’s author Beatrix Potter. Alright, you can’t, because they’re long since passed, but you can visit their totally adorable homes Dove Cottage and Hill Top. Other than that, just enjoy the outdoor wonderland -- hike and bike on the trails, scramble through gorges and caves, or hit one of the 16 lakes in a sailboat or canoe. Head east via the A69 (look out for signs to Roman-era Hadrian’s Wall on your left), or take the arguably more fun mountain roads across the Pennines. 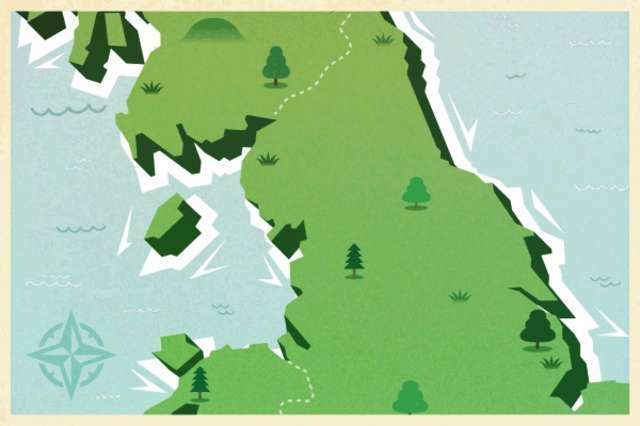 Pick a stretch of the Pennine Way to hike (Alston, Langdon Beck, and Bowes are good starting points) or kayak on the River Tees (if you prefer to see whitewater from a distance, check out High Force waterfall). Go to Newcastle for the iconic bridges and arts performances at the fancy Sage Gateshead, drive to the imperious Angel of the North sculpture, and continue to Durham for your token Harry Potter fix in the Norman cathedral’s cloisters. Welcome to God’s Own Country, as the proud locals in Yorkshire say. 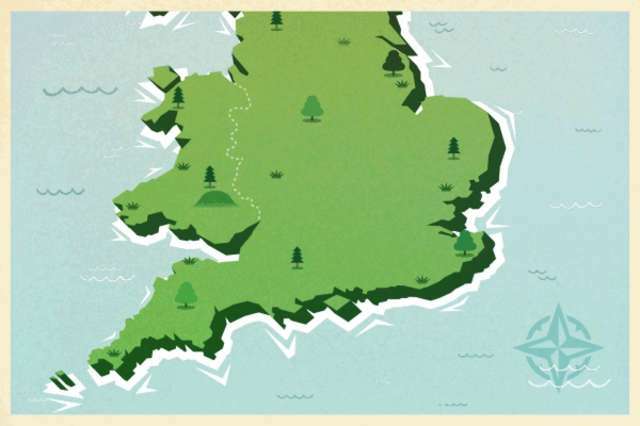 It’s a huge region (by British standards) so pick a few spots and do them justice. Roman/Viking/Victorian York is one of the UK’s most historic cities -- climb the city walls, shop along The Shambles (once a medieval meat market), and get giddy like a little kid at the National Railway Museum. But you’ve got to get out into the fresh air, too -- cycle in the Yorkshire Dales, take the waters at spa town Harrogate, or go for a bracing beach walk in Whitby. Wherever you go, you’re guaranteed a proper cup of tea. Now escape to the country. Snowdonia is 823 square miles of craggy mountains, gushing waterfalls, and wild, windswept land. The traditional things to do are climbing Mount Snowdon, going mountain biking, and riding the Welsh Highland Railway, but hang on… you could be trampolining in caves at Bounce Below. Don’t forget to drop by the 13th-century Caernarfon Castle, and pop across the Menai Strait to the untamed Isle of Anglesey. 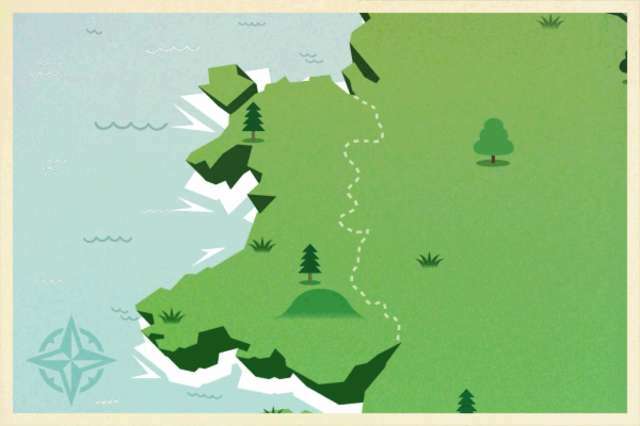 Drive down the sweep of Wales’ west coast and... eventually... you’ll hit Pembrokeshire. It’s worth the effort because this is the closest thing we’ve got to the Caribbean. All right, it’s not actually that similar, but you do get sugary sand beaches, loads of birdlife, and crystal clear water. 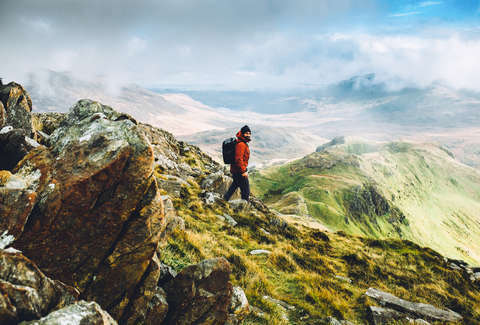 The cities on the south coast are pretty grim, so stay inland and aim for the Brecon Beacons National Park instead; it’s kind of like Snowdonia, and that’s no bad thing. Hook back north now, via the literary town of Hay-on-Wye, and cross back into England. Mooch around the market town of Ludlow, then move on to Iron Bridge, where you’ll find -- surprise, surprise -- an iron bridge (all right, it’s special because it was the world’s first, built in 1781). Avoid Birmingham (this is good advice in general) and press on to the Peak District, another not-so-cryptic UK place name. Stay in the Victorian spa town of Buxton, and make day trips to Bakewell for the almond tart, Chatsworth stately home, and Alton Towers theme park. Fly into London; spend a day checking off tourist sights or, if you’re pining for that salty sea air, skip the capital entirely and head straight to Brighton (Gatwick airport is much handier than Heathrow for this). It’s got the UK’s liveliest gay scene, a quintessential Victorian pier, and Britain’s best impression of the Taj Mahal -- seriously, check out the Royal Pavilion. Meander your way along the South Coast. You might like to geek out on naval history in Portsmouth, or search for fossils and limestone rock formations along the dramatic Jurassic Coast. 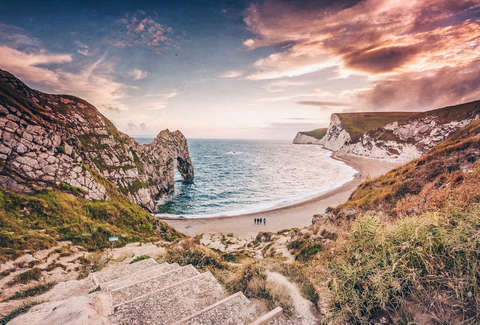 Hell, you could even take a detour to the slightly geriatric Isle of Wight -- expect gleaming chalk cliffs, olde-worlde beach huts, and balmy botanical gardens. Cornwall is what coastal England is all about. Artsy St. Ives is the beautiful crown jewel, with five beaches by the turquoise sea -- but the harbor towns of Fowey and Padstow are hubs of activity too. For quaint fishing villages try Mousehole or Polperro, and be sure to walk the coastal path and reward yourself with a cream tea. 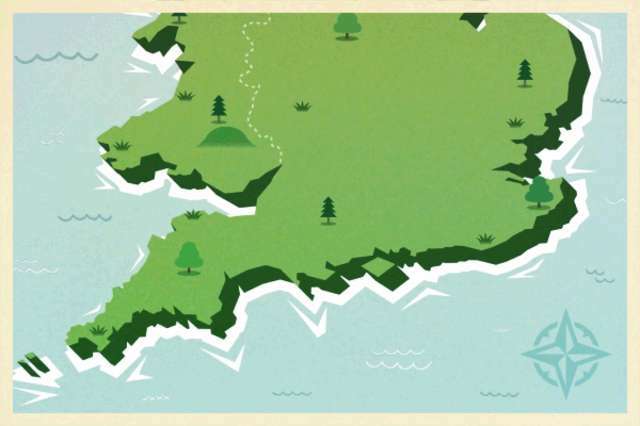 Skip the photo op at touristy Land’s End, but get tickets to a show at the cliffside Minack Theatre, and spend a rainy day in tropical indoor gardens at the Eden Project. As usual, it’s worth taking extra time to take the scenic route (because it’s scenic, durr) -- so hug the coastline up to Devon. Hire a surfboard at Croyde, a blustery beach village which takes the full force of Atlantic breakers, and walk around Baggy Point to Woolacombe, home to a three-mile stretch of golden sand deemed one of Britain’s best by the folks at TripAdvisor. Hit the motorway (that means “highway”) back to London, and fly home to tell everyone it’s sometimes sunny in Britain after all. Jonathan Melmoth is a travel writer and editor based in Brooklyn. Follow him on Instagram @mistermoho.